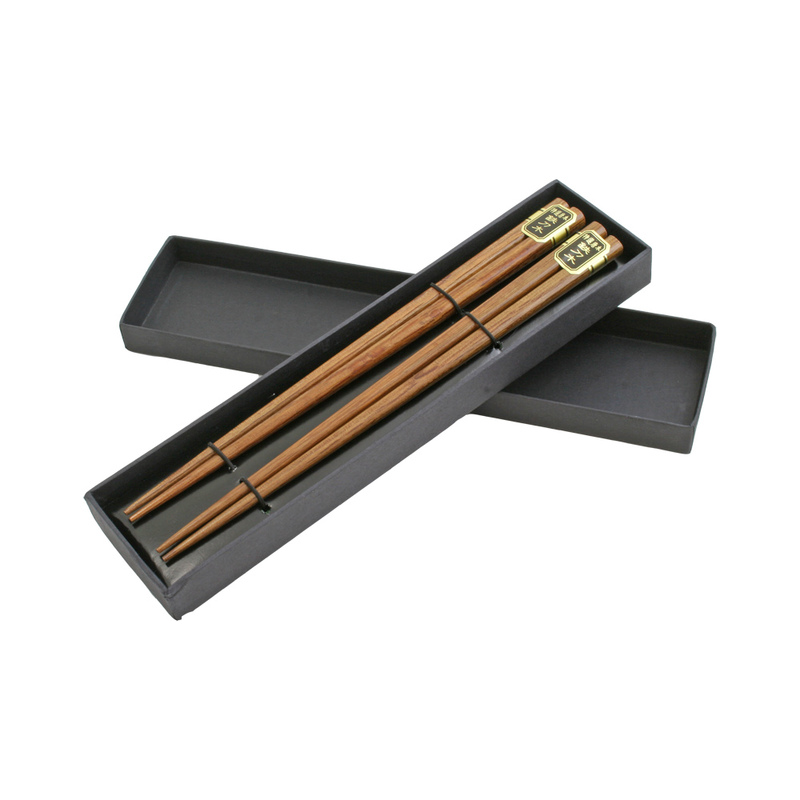 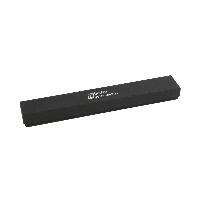 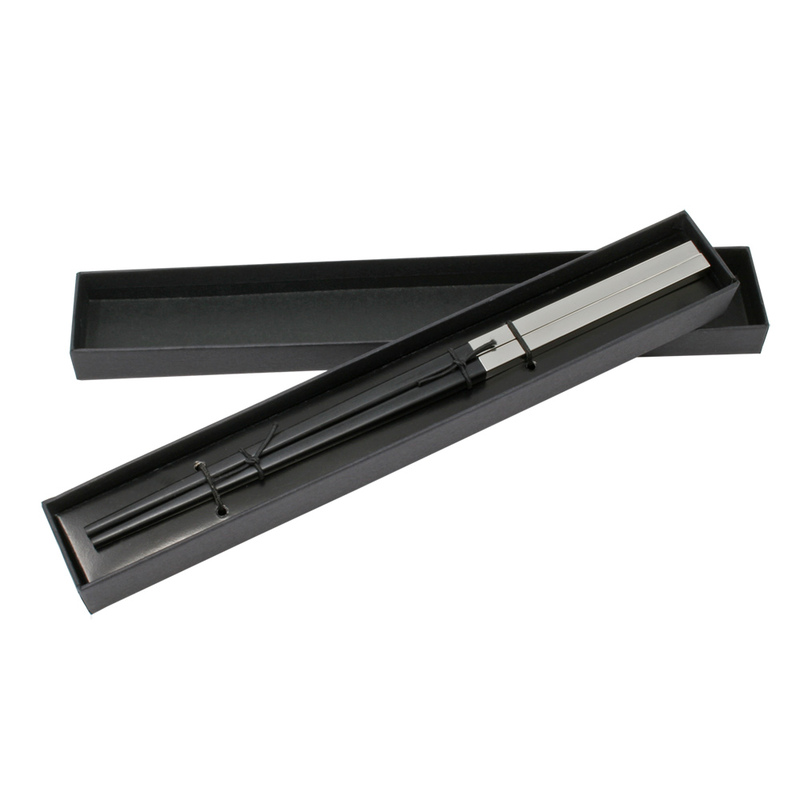 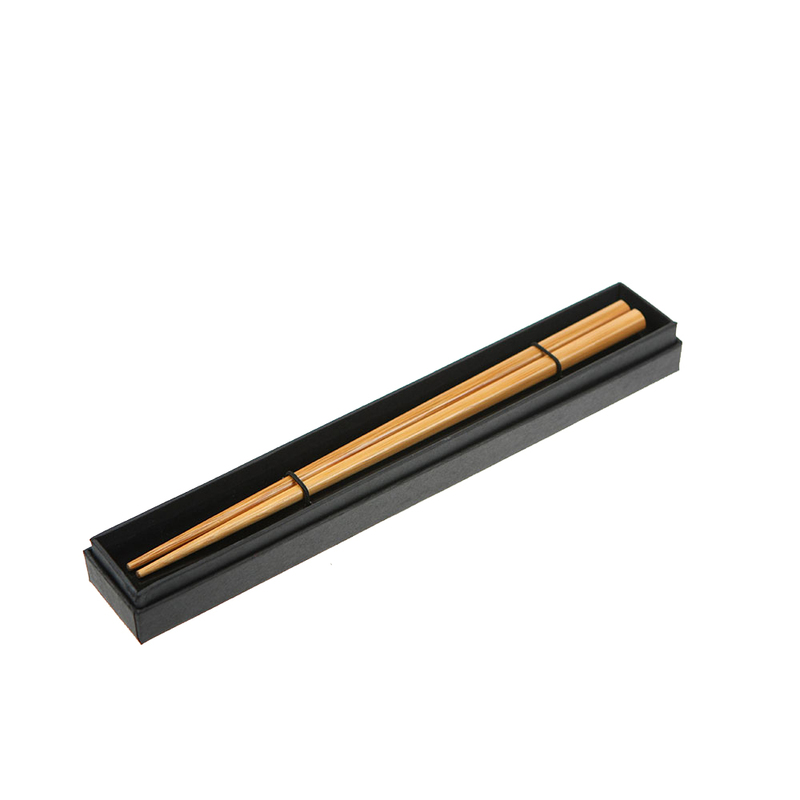 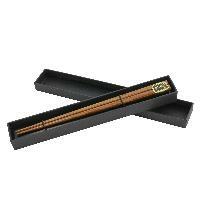 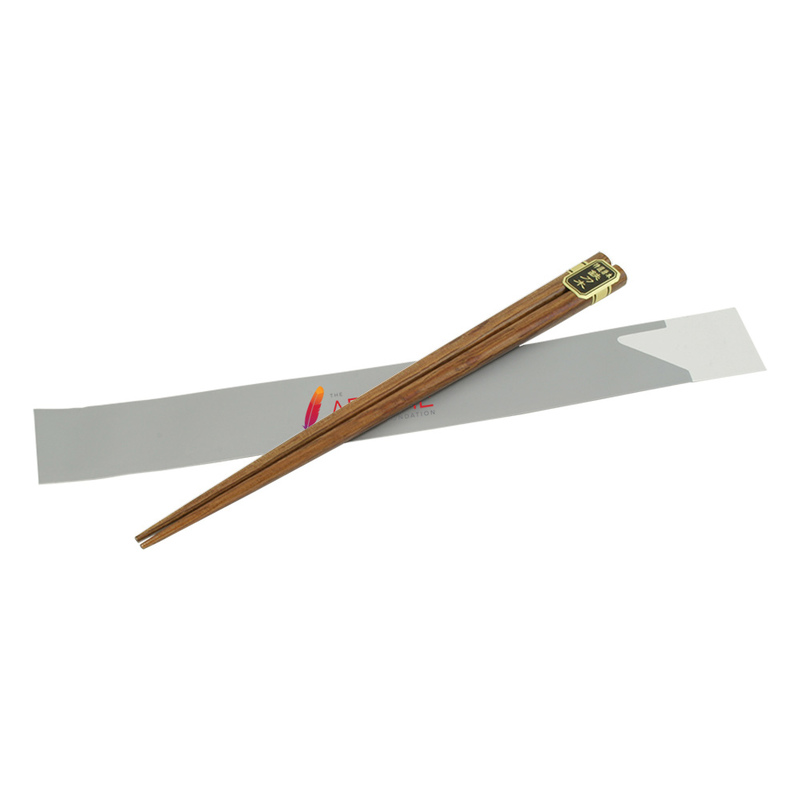 A single set of wooden chopsticks in a black cardboard box. 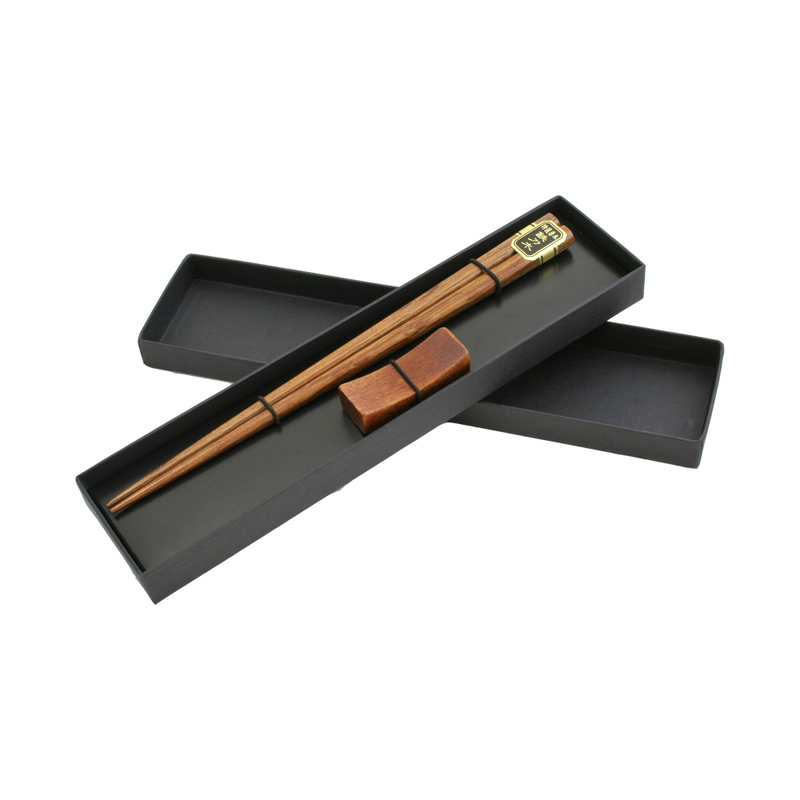 Made from quality wood for a quality look and feel. Resting cradle not included.